My mother-in-law is living with us at the moment. She is Chinese, and as you might expect, she misses her Chinese TV shows. This is 2017, so people have posted the videos on YouTube and other video sites. 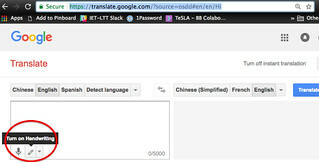 How do you actually type on a computer in Chinese? But here comes the rub. My mother-in-law doesn’t know Pinyin. Pinyin is the latest of a series of romanization systems, which was developed in the 1950s. It is an official system in mainland China (1958), and an ISO standard since the 1980s. My mother-in-law is in her 80s, so it hadn’t been developed when she was at school. She’s well educated, widely read, able to read the newpapers, to write, and she was able to follow her career as a hospital pathologist through to retirement, without needing Pinyin. It’s only in the autumn of her years that she suddenly finds a need for Pinyin. She’s being trying to learn it, simply to be able to search for videos online. However, it’s a completely new concept, and she struggles with points as “simple” as the needing to know the capital letters that are used on computer keyboards (she’s more familiar with the lower-case roman letters). So, it’s a barrier. And, a hidden one at that. Initially, a few weeks back, it looked like she would have to do without her TV shows, or at least rely on my wife to search for her. There is a happy ending. I did some digging around on the Web, and came across Google’s handwriting input method, which you can try out in English with most modern browsers on Google Translate. Look for the pen icon next to the speaker and microphone symbols at the bottom of the left-hand input box. I’ve been working with my mum-in-law over the past few weeks to help her learn how to use the Google Input Tools extension for the Chrome browser. 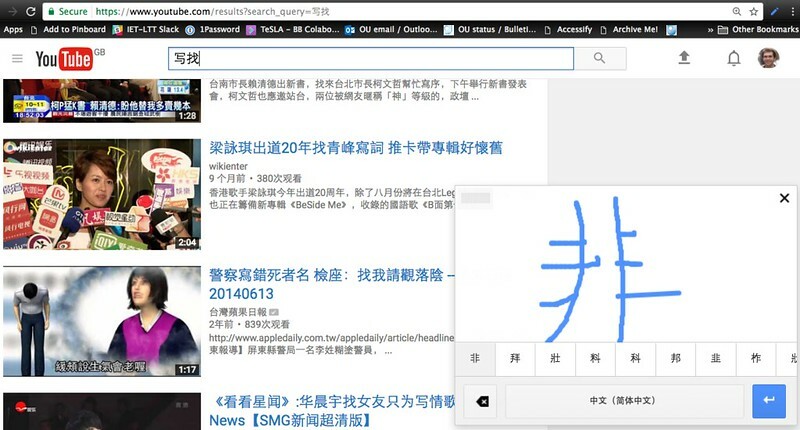 This enables handwriting input for Google search, and YouTube search among other services. Handwriting input has been a great enabler, allowing her some measure of independence. Luckily, she has a reasonable amount of dexterity in her hands, to enable her to write with the mouse. If she didn’t know Pinyin, and had arthritis or other motor problems with her hands, then she might have a real problem. 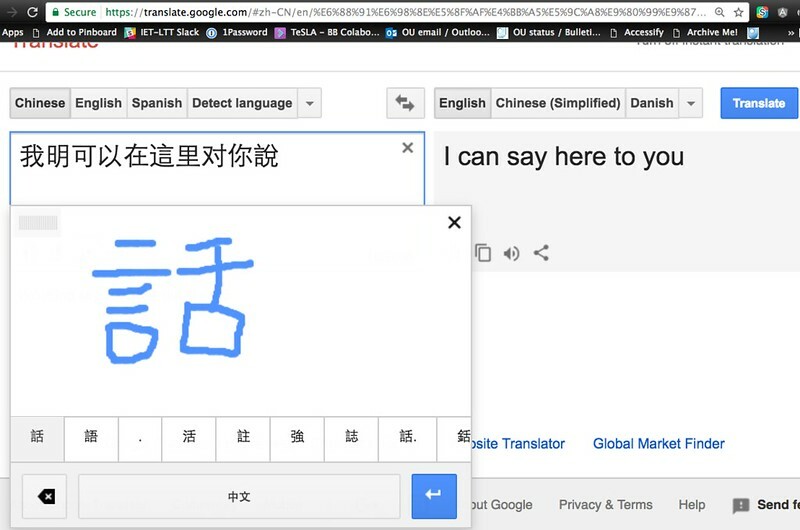 Presumably, this potential barrier to computer use — needing to know an intermediate writing system such as Pinyin — is common to many languages that don’t use the roman alphabet. I’d be interested to hear your views. Kudos to the programmers at Google for coming up with handwriting recognition tools! Note, there is also an Android app, that I haven’t yet used.